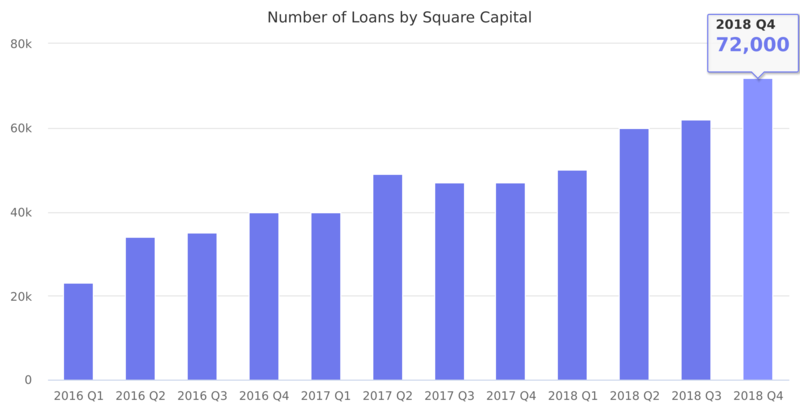 Number of loans issued by Square Capital. Last reported quarter 2018 Q4 it was 72,000, up by 53% year-over-year from 47,000. From 183,000 in 2017 it increased by 33% to 244,000 in 2018.